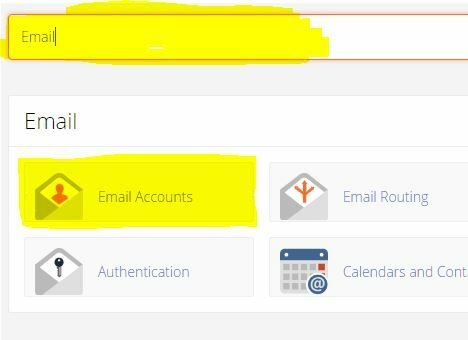 Step 1 – Once you have logged into your cPanel account you will need to then use the search bar and search for ‘Email’. You will then need to click on the Email Accounts button. Email Account name. Example: if the desired email account is info@domain.com you will need to enter in info here. Enter in a password. You can choose to generate one or use one of your personnel preference. Set the quota. This is optional you can set it to an amount or use the unlimited option. 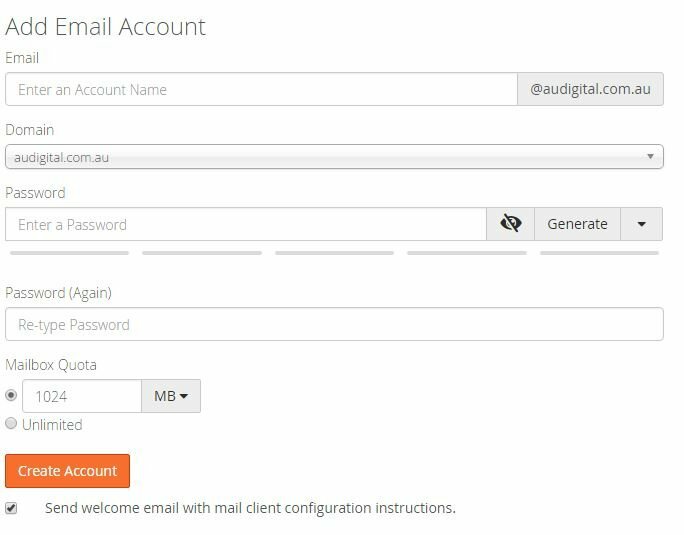 Step 4 – Click Create Account. You are now done and have created your email accounts. If you would like help if setting up your email account please visit out support pages here.